I’m not a vegetarian, but I am still not a huge fan of ground meat. So I prefer to make a meatless Chili. 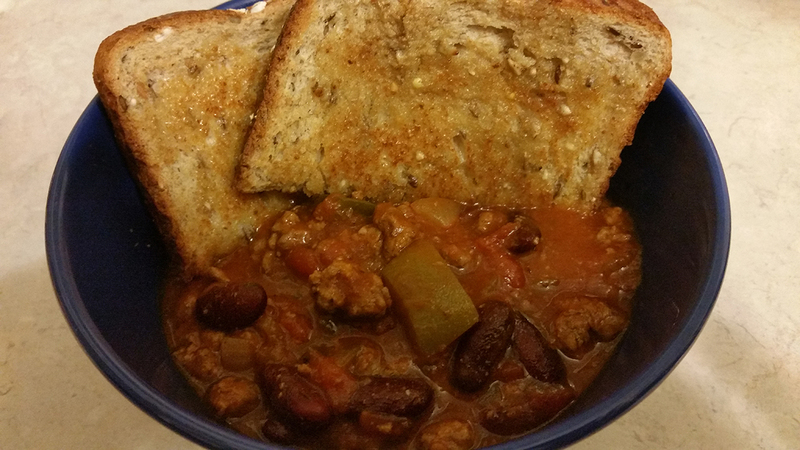 I use a lot of canned beans in this chili. Make sure you are selecting the “No Salt Added” cans. Add all of the ingredients to the slow cooker, stir and let it cook on low for a few hours. Before eating, use a potato masher to mix and mash for a few minutes. Mashing some of the beans helps to thicken up the chili.